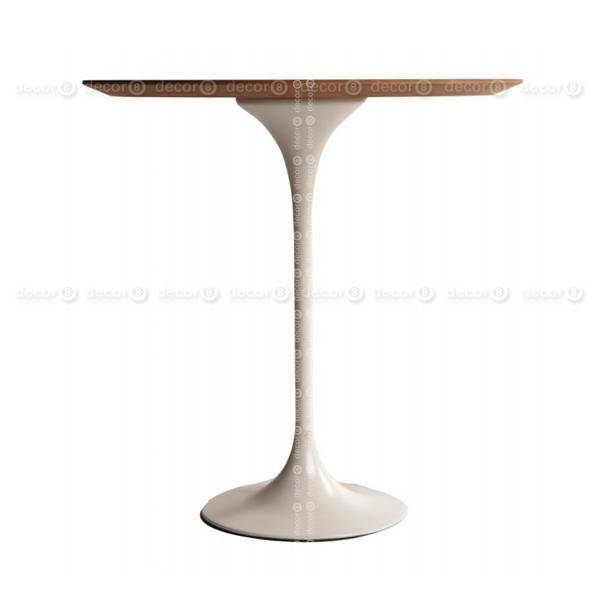 The Tulip Style Wood Side Table is inspired by elegant stem like pedestals and organic shapes. The table top comes in a smooth Walnut color and the base is made from metal in a gloss finish. 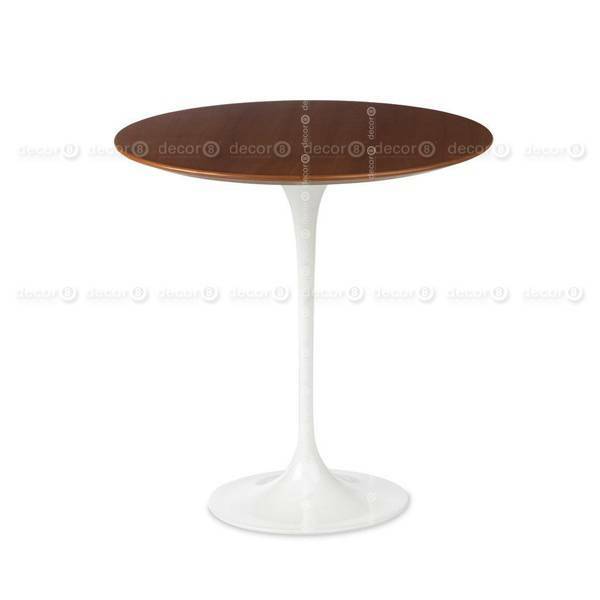 The Tulip Style Wood Side Table in walnut color is inspired by elegant stem like pedestals and organic shapes. The table top comes in a smooth Walnut color and the base is made from metal in a gloss finish.